Are you searching for air duct cleaning? Airduct cleaning is a process that should be integrated into the rest of the cleaning processes inside a home or office. For the best airduct cleaning service, Air Purification Technologies it’s been offering 20% off Air Duct Cleaning services for all Miami, Broward, and Palm Beach County residents. Count on us to deliver the best duct cleaning service and improve your breathable air environment at home. To a better understanding of our services; Airduct cleaning is performed with an elongated camera to facilitate the inside view of the cleaning process and the final result. Once the vent is entirely free of dust and visible debris, we make sure every room has a normal AC air flow and freely unclogged. 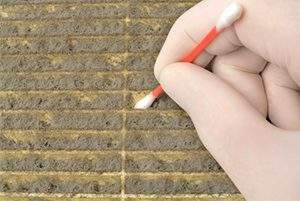 To the naked eye, it may seem like it is not necessary to clean the air ducts, but they should frequently be cleaned. One of the main reasons for hiring an air duct cleaning service is that it improves energy efficiency. When dirt and dust accumulate in air ducts, heating, and cooling systems work harder and use more energy to operate. This causes higher energy bills and trouble in the future if the AC unit starts malfunctioning. APT will make sure the ducts are clean so that they can operate smoothly and with less energy use. Another reason why you should hire Air Purification Technologies is that we will improve the overall environment of your home or commercial building. The air is healthier, breathable and you won’t have dust floating in the air. If there are dust and dirt in your ducts, it is likely that some bacteria will come out within the air and will enter into your house. Don’t wait for this to happen and book your appointment with Air Purification Technologies! Let’s make the air healthier in your home again! Call today at (954) 241-7352.